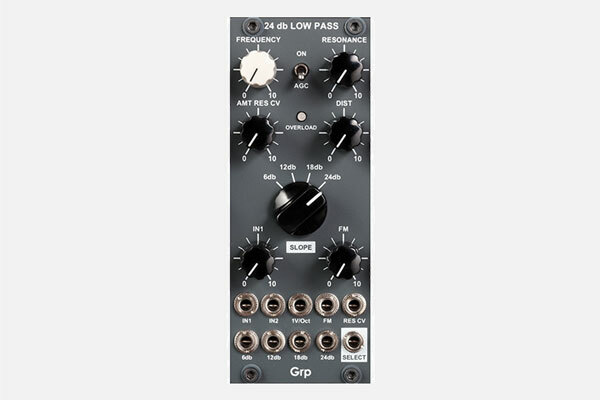 The VCF24db is a fat sounding transistor-ladder low-pass. Special features include automatic gain correction and a beefy distortion circuit. The module can self-oscillate. While doing so, it is possible to play it like an oscillator.